Having light coming from the back of your TV screen is a great way to create a soothing effect when not in use, or having it add an extra dimension to your viewing when the TV is in use with the color matching the on screen action as you watch. 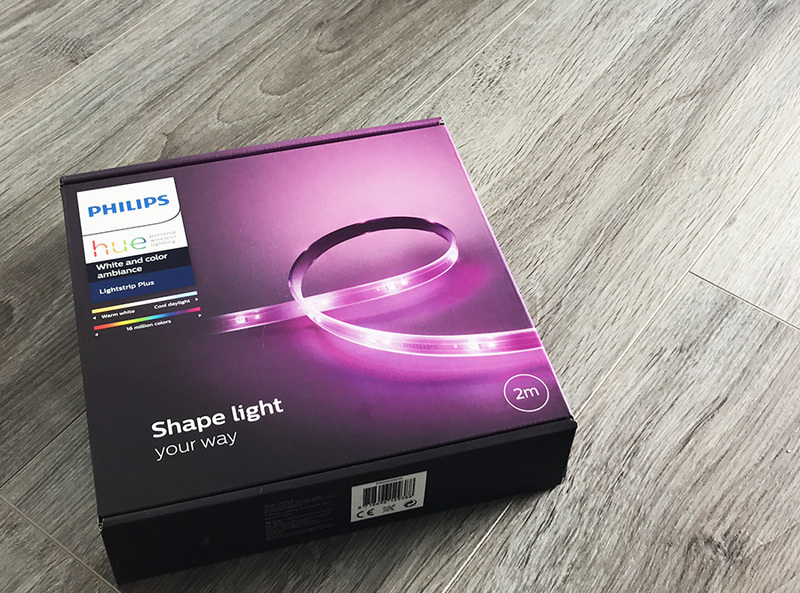 Using Philips Hue Light Strips we show you the best way to attach h them and how to set it all up. To attach the light strip to the back of your tv we suggest using these two items. The mounts can be attached to the back of the TV giving you hooks to then cable tie the strip lighting too, once all attache the cable ties can be cut removing the access. Another options are these – Command Cord Clips which are ideal for the lightstrip. 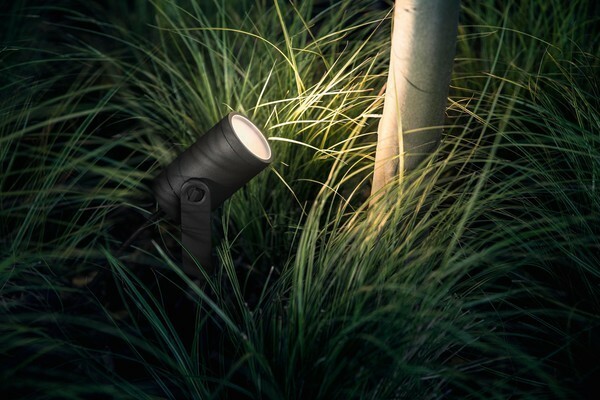 On the corners you can buy 90 degree connectors designed for this, however just be carefully folding the light strip over itself to create the 90 degree corner works just as well without damaging the light strip itself, or effecting the lighting effect. By using sticky pads and cable ties it allows you to easily adjust the strip lighting if you make a mistake, or feel the light is too close or too far away from the edge of your TV. Once attached and hooked up to your Hue system this is the effect you can create. Once set up you then need to set up your hue bridge so that the colors behind the tv from the light strip sync with what it going on, on screen. 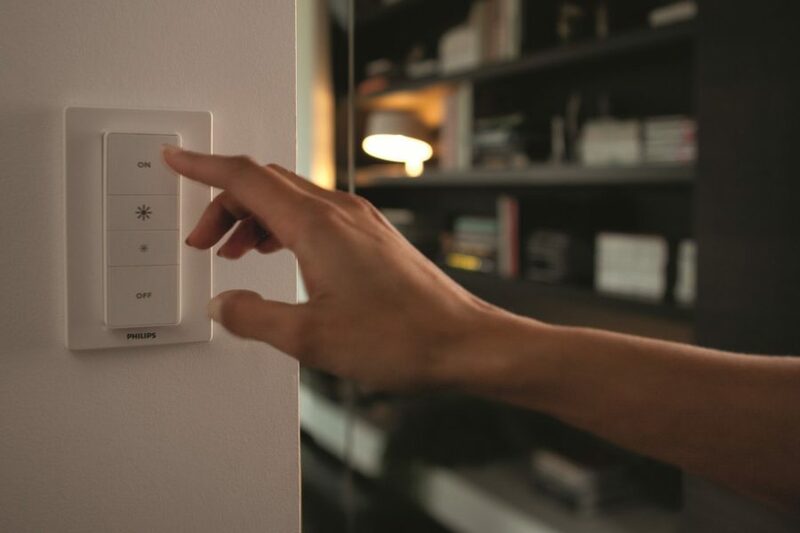 Check out our guide here on How to Sync Philips Hue Lights with TV or Movie. There is also the video below from Philips that gives you a quick guide on how to do this too. 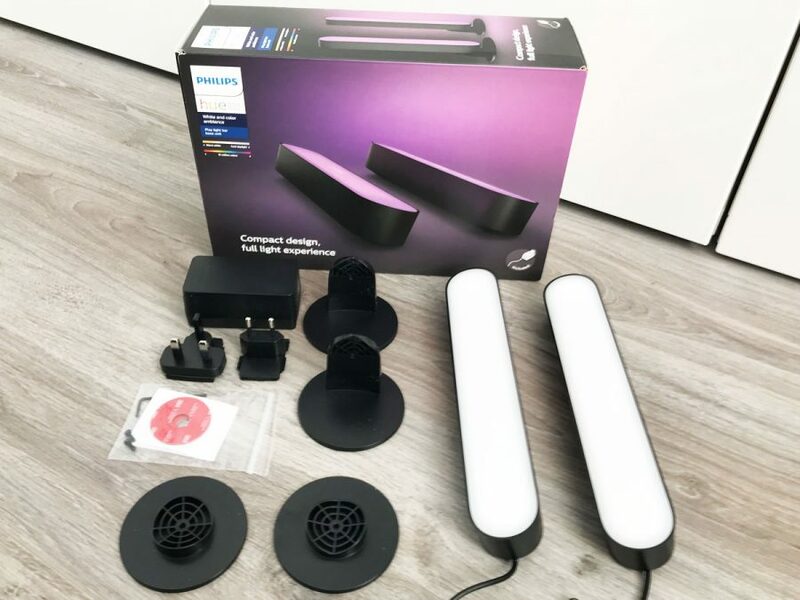 Once set up you can adjust the light depending on the mood you wish to create, or kick back and relax an immersive movie with the lighting adding a whole new dimension to your living room. 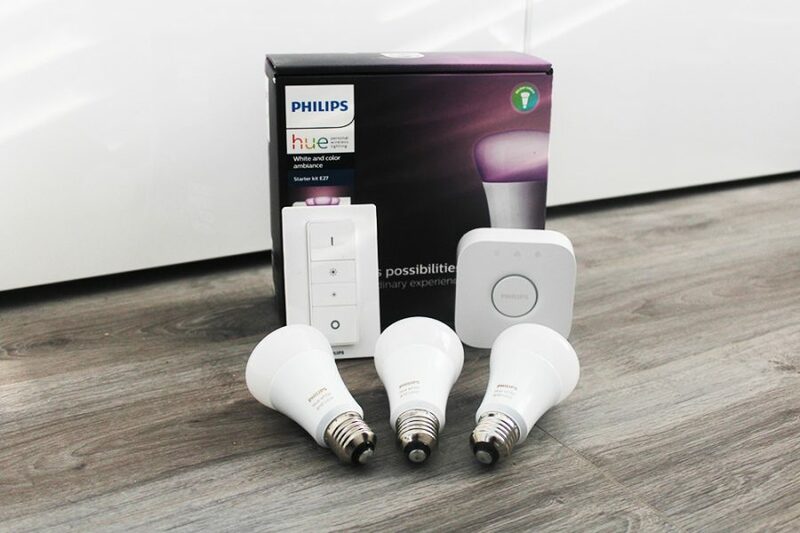 Using Hue Sync you can connect up your laptop or use Airplay and mirror what is on your screen on your TV, allowing your hue lights to sync with the on screen action displaying colors behind the tv using your lightstrip to match your tv. 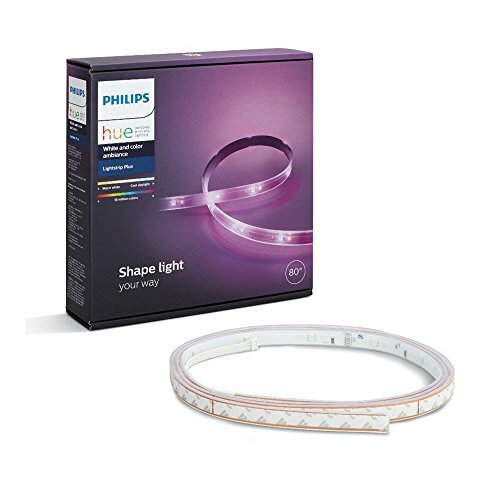 If you are playing your movies from your computer to your TV, then you can use Hue Sync on your laptop to sync your lightstrip.